A well-known Czech wind instruments maker. A few instruments from his workshop have survived to this day: oboes, recorders, clarinets. 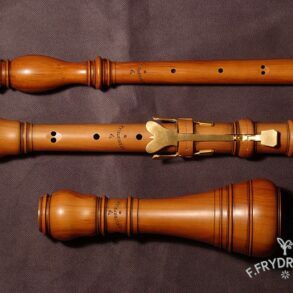 The tenor oboe (at the pitch f) that I make is a copy of an instrument from the first half of the 18th century which is now in a private collection. This oboe has survived in an almost ideal condition. It testifies to the great craftsmanship of its maker. Its turning is extremely intricate. The original is made from uncoloured orchard plum wood (Prunus domestica). 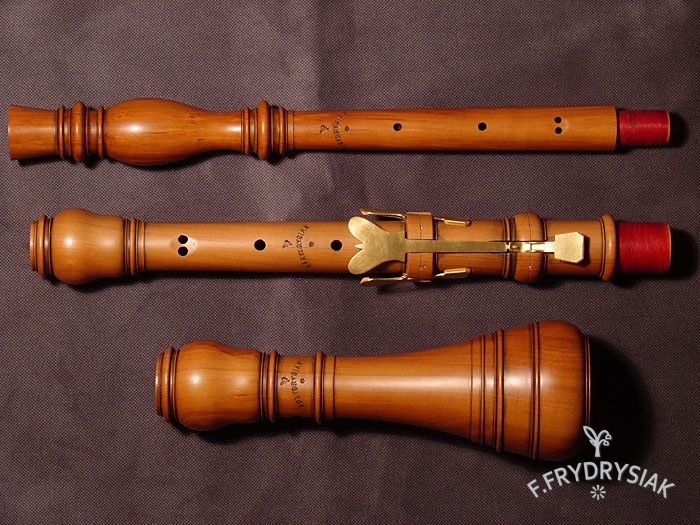 Friedrich’s tenor oboe has a slightly nasal, but round sound. It harmonizes very well with the sound of the strings. It is characterized by a light sound emission in the entire scale of the instrument.